Known as the "silent killer," it raises risk of cardiac problems and strokes. The changes are expected to drastically impact adult Americans: revising the hypertension threshold downward will increase the percent of U.S. adults living with high blood pressure from 32 percent to 46 percent -- nearly half of the adult population. It will also disproportionately affect younger people by tripling the number of men under 45 and doubling the number of women under 45 with the diagnosis. (American Heart Association) The American Heart Association has changed the definition of "hypertension" for the first time in 14 years, moving the number from 140/90 mm Hg to 130/80 mm Hg. The changes are expected to drastically impact adult Americans increasing the percent of US adults living with high blood pressure from 32% to 46%. The new guidelines reflect years of research, which have shown that people within the new range of blood pressure defined as hypertension have doubled their risk of cardiovascular problems in the future, such as heart attacks or strokes. As such, health care professionals should be identifying these patients and helping to initiate interventions to bring down blood pressure. While the new guidelines significantly increase the number of Americans with a diagnosis of hypertension, they do not suggest a proportionate increase in treating with medication. The number of Americans with hypertension who are recommended for medical treatment would increase by only 4.2 million adults, or 5 percent more than were previously recommended. Medication will be recommended for patients with previous cardiovascular events, such as heart attack, or significant cardiovascular risk factors determined by factors such as age, blood tests and having other medical conditions that increase risk of heart attack. The study authors recommend lifestyle changes, including exercise, diet modifications and weight loss, as the first step to reducing high blood pressure. (Getty Images) The American Heart Association has changed the definition of "hypertension" for the first time in 14 years, moving the number from 140/90 mm Hg to 130/80 mm Hg. 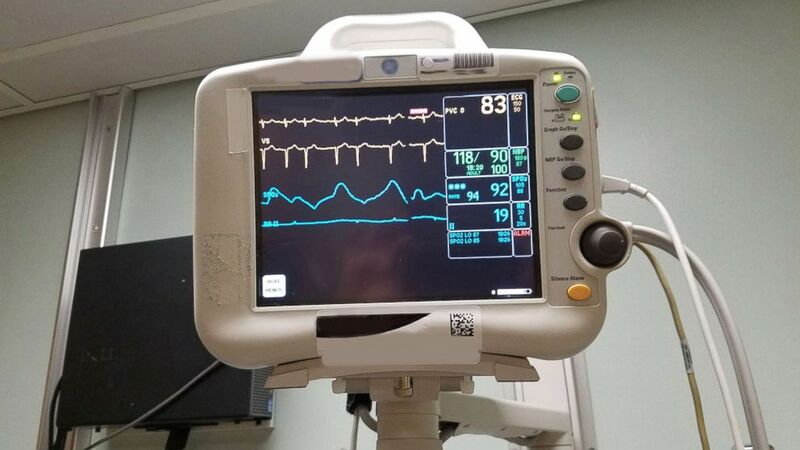 Doctors in the guidelines stress the importance of using two separate blood pressure readings on two different occasions to diagnose hypertension. They recommend that those with hypertension use approved blood pressure monitors at home. Writing down these readings at home can help tell the difference between people with truly abnormal blood pressure and those with “white-coat syndrome” -- with high blood pressure only under stress like at the doctor’s office. High blood pressure increases the risk of cardiac problems and strokes, and is sometimes called “the silent killer” because so many adults live with high blood pressure and don’t know it. 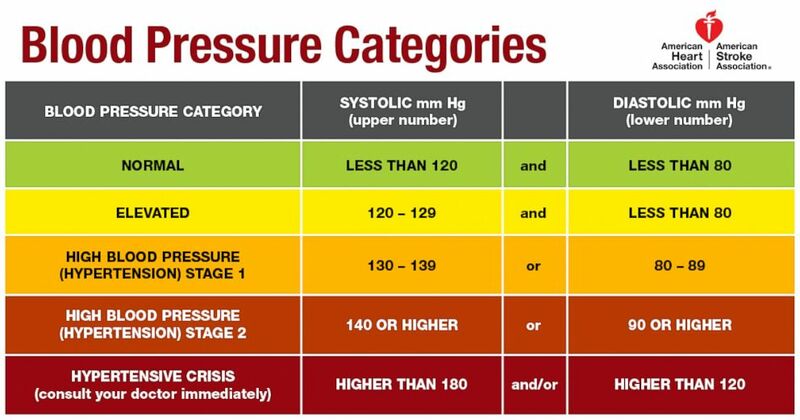 To help understand the new hypertension guidelines and how they affect managing your health, see your healthcare professional.